I have been reading and writing a lot of book reviews across various genres, but then there is always a first time and this first time that I am talking about is reading and reviewing a recipe book or a cookbook. I love food, but then loving and writing about it rather the recipe book are two different things when your knowledge about cooking is like Aryabhatta's invention. 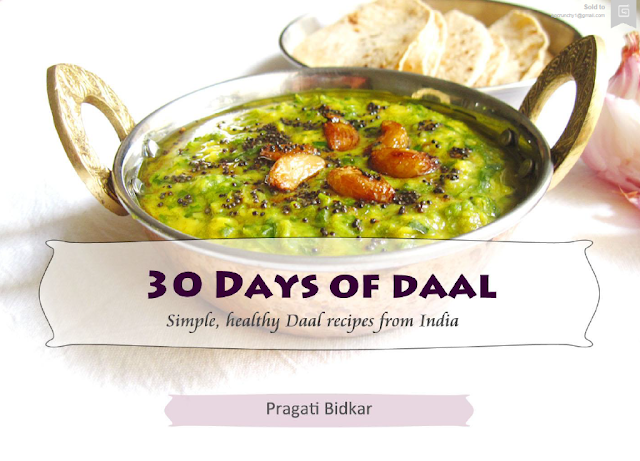 I read 30 Days of Daal, a recipe book that is written by Pragati Bidkar on recipes to make daal. You might be wondering what's special in this, we eat daal everyday and it's a staple food for most of the Indians. What differentiates this book, according to me is the variety it brings in and gives you the option to have 30 different daals for a month from different parts of the country. One need not worry about the ingredient as all you need to make daal is usually available in Indian kitchens. Below is the list of daals that I have eaten out of the thirty mentioned in the book, I won't name the other as I would want you all to go through the book and read. The recipes are divided in three section viz. 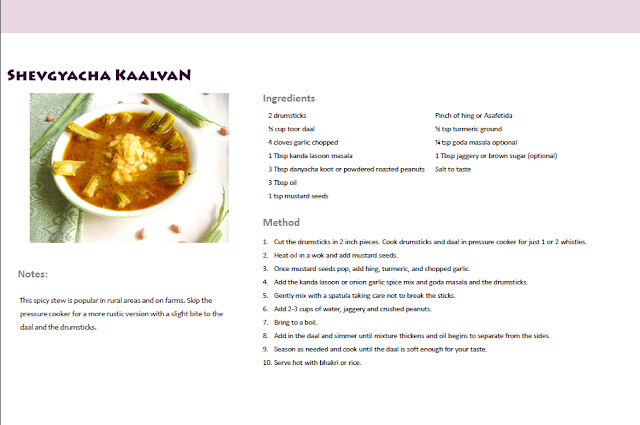 Ingredients, Method, Notes which take you through the complete process of making a particular daal. I am sure if you make these daals for thirty days you would have toured half of India. When I told my mom about the book, the first thing she asked me was, "Kaunsiwali banau inmese". You can click here to know more about the book and the ordering process. Now this is something very different from the usual ones! Good to know that you even explored a recipe book. Really wonder to know that there are 30 types of daal curries. I am sure that I haven't tasted more than 2 out of these 30 daal curries and would love to taste them if i get a chance.